It never ceases to amaze me how much more reliable a Julia Child recipe is than that of any other cookbook author I’ve followed. I’ve been reminded of that fact again this week on a few occasions, this chocolate soufflé being one of them. 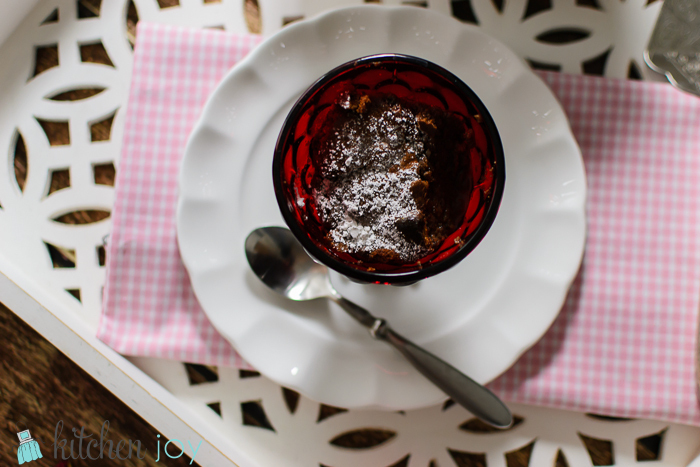 Julia’s Chocolate Soufflé has been on my “Bucket List” of recipes to make for quite a while. I practiced with her Cheese Soufflé recipe a few months ago and it was spectacular. Soufflés are inherently daunting. They’re extremely delicate and fragile, and the thought of making one can be overwhelming. It shouldn’t be. Worst case scenario you still end up with a delicious chocolaty dessert, even if it deflates into a somewhat less-than-beautiful glob. I was pleasantly surprised how well mine turned out. I will be a little bit extra careful next time not to over-beat my meringue though–you want it to be shiny peaks, but not dry peaks. Mine were bordering on dry and there were a few spots in the final result that you could detect the variation in texture. This recipe is quite a few steps, but nothing really difficult. You’ll need to melt your chocolate, make a chocolate sauce, make meringue, and fold them all together. Then just bake and serve. Give it a try. It’s a wonderful dessert for Valentine’s Day! Gather and measure out all ingredients. Preheat oven to 425 degrees F. Arrange rack into the lower level of the oven. Place the chocolate and coffee in the small pan over the pot of simmering water. 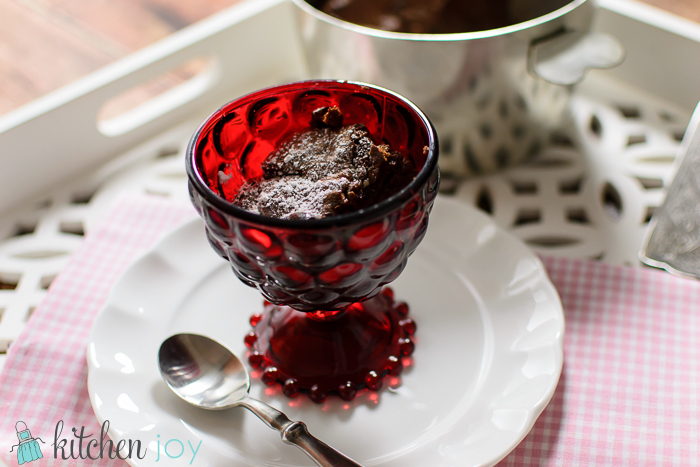 Cover and remove from heat, allowing the chocolate to melt while you continue with the recipe. Measure the flour into the 2 quart saucepan. Start whisking in the milk very slowly to make a perfectly smooth cream, continue whisking until all milk is added. Add the butter and stir over medium heat until boiling. Boil, stirring constantly for 2 minutes. Remove from heat and beat for another minute or two to cool slightly. One by one, whisk the egg yolks into the hot milk sauce, then the melted chocolate, and then the vanilla. Gently fold the chocolate mixture into the egg white bowl. Pour the soufflé mixture into the prepared soufflé dish and set on the rack in the lower level of the oven. Turn the temperature down to 375 degrees F.